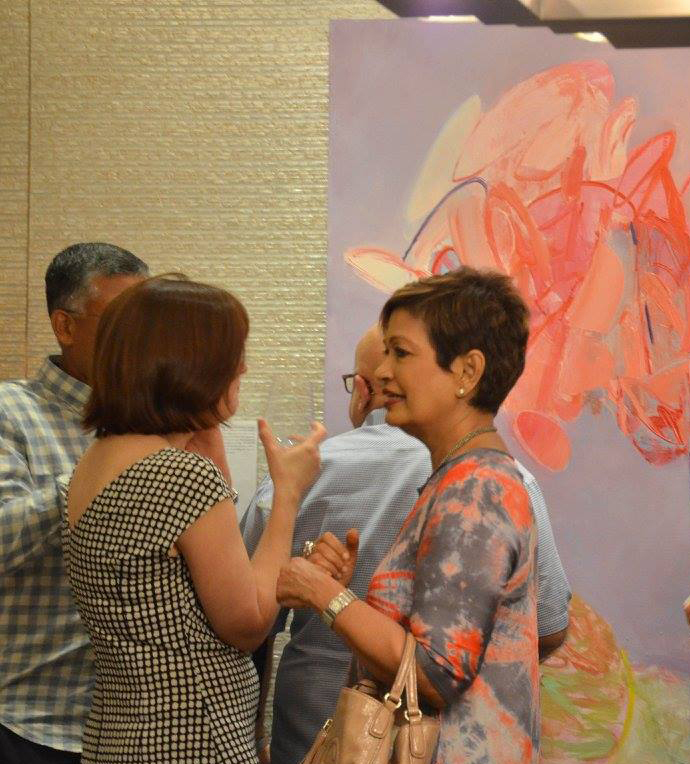 ARTRA Magazine and Saskia Fernando Gallery in collaboration with Standard Chartered Priority Banking are excited to present the seventh edition of Collectors Desk. 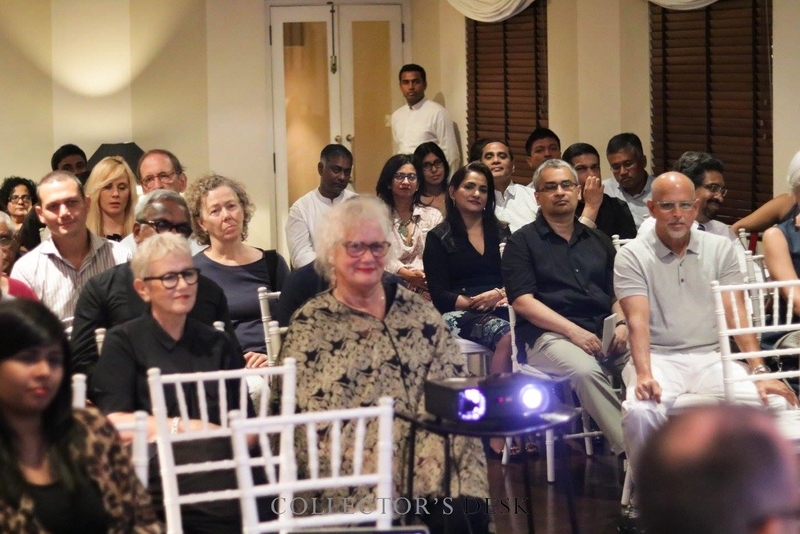 A platform founded with the intention to advise and inform an exclusive invitee list of private collectors and corporates on the developments of Sri Lankan contemporary and modern art internationally, the talk series takes place in different locations every year, with a different theme for each edition. The seventh edition of Collector’s Desk is honored to have Ms Sonal Singh, Director of Christies India as the guest speaker. The talk panel will include Saskia Fernando, Director of Saskia Fernando Gallery, Art Space and Paradise Road Galleries and Azara Jaleel, Editor-in- Chief of ARTRA Magazine Daily ARTRA who will discuss building an art portfolio and art as investment. Guests will also receive an introduction into the workings of Christie's, the worlds leading auction house, as well as the opportunity to meet with Ms Singh after the event. Christie’s is the internationally acclaimed global auction house. Founded in 1766 by James Christie, Christie's has since conducted the greatest and most celebrated auctions through the centuries providing a popular showcase for the unique and the beautiful. Christie’s offers round 350 auctions annually in over 80 categories, including all areas of fine and decorative arts, jewellery, photographs, collectibles etc. 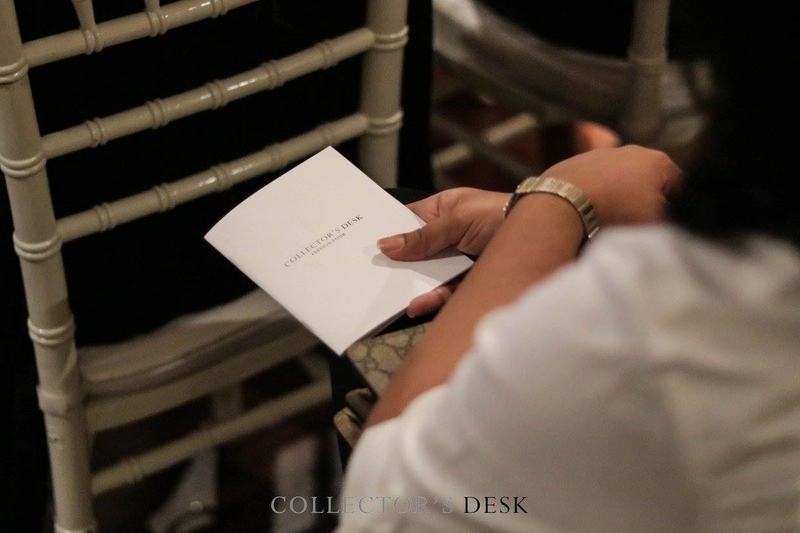 The growth of any art scene takes place alongside economic development and it is essential that collectors, the corporate sector as well as the investor community sustain the local art scene’s growth of which each edition of Collector’s Desk is curated to address professionals from a myriad of industries. ARTRA Magazine, established in 2012 is Sri Lanka’s art magazine focusing on visual, performance, applied and written art. 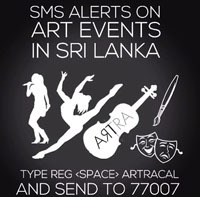 Whilst focusing on providing thematic and timely content to local and international readers, ARTRA collaborates with leading local and international art festivals, embassies and cultural partners to ensure the growth of the local art scene in tandem with that of other creative industries in Sri Lanka and South Asia. Saskia Fernando Gallery was established in 2009 and today represents many of the leading artists in the island. With a large inventory of work the gallery provides both art advisory and consultation services to private collectors. The gallery has collaborated on exhibitions and projects internationally in London, Dubai, Singapore and Los Angeles, with a focus on Sri Lankan contemporary art.